Rosehips are the accessory fruit of the rose plant. Our Squalan Eye serum contains rosehip seed oil, which is extracted from the seeds of the wild rose plant. Why do we use rosehip seed oil? Rosehip seed oil is packed full of beauty essentials such as antioxidants, vitamin A, vitamin C, and omega-3 and omega-6 fatty acids. It targets scars and fine lines and reduces puffiness. It is a dry oil that hydrates the skin without clogging the pores. What are the benefits of using rosehip seed oil? Rosehip seed oil works wonders for your skin in terms of hydration and nourishment. It delays signs of ageing and reduces the appearance of crow’s feet, fine lines, and age spots. It boosts the skin’s elasticity, leaving it feeling soft and supple. Many people turn to rosehip seed oil when their skin is damaged and in need of repair. It has been used to help treat acne, scars, and stretch marks because it gently stimulates the healing process, fights infection, and repairs skin damage. The oil contains the active form of vitamin C and is rich in vitamin A, which encourages healthy cell growth and protects the skin from further damage. Water is not only vital for a healthy body, it is also essential for clear, radiant skin. The skin tissue and membrane are responsible for keeping the skin hydrated and therefore need to be in excellent shape. Rosehip seed oil can help in this regard as it contains essential fatty acids that promote cellular health, thereby ensuring proper skin hydration. Another advantage of this dry oil is that it is instantly absorbed by the skin and does not leave a greasy residue. Any time your skin is exposed to the sun, it is at risk of damage. 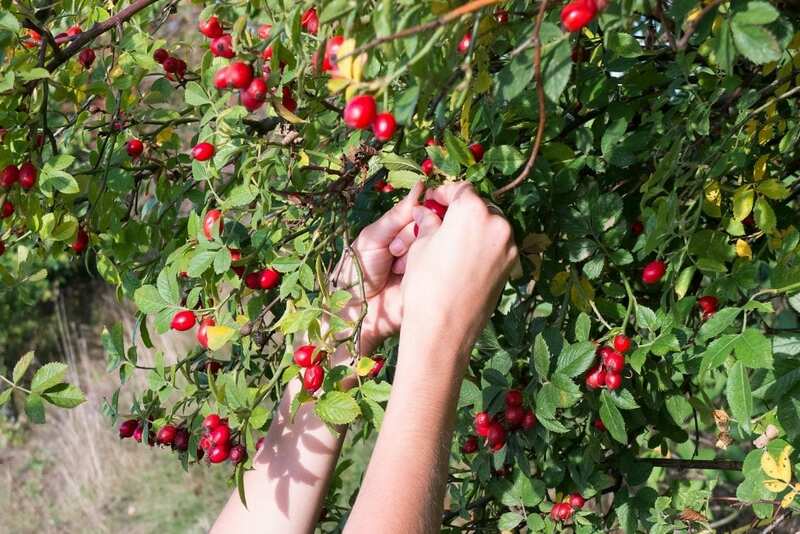 Rosehip seed oil helps sooth and repair skin after exposure to the sun. If you have had too much sun, rosehip seed oil will reduce redness and help your skin recover. It also provides a protective barrier against harmful external elements such as the cold, the wind, the rain, air conditioning, and pollutants.